OK, ok so we might be a little late to the party, but if you happen to be at home today or have an hour before your partner gets home, we have put together a few of our quick and simple DIY's from our blog history for you. 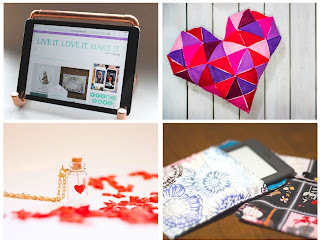 Nothing like a little bit of crafting to show someone you love what they mean to you, whether that's your Valentine or Galentine. Have a lovely day all, whatever you may be up to.